As we know every year, Google offers new updates to its mobile operating system Android. The name of the OS is based on the “English Alphabet”. Last year, Android 9 was introduced, which was first named as Android P and later Android 9 Pie operating system (OS). In the same time, the company is going to introduce Android 10 on this year which will be named “Android Q”. 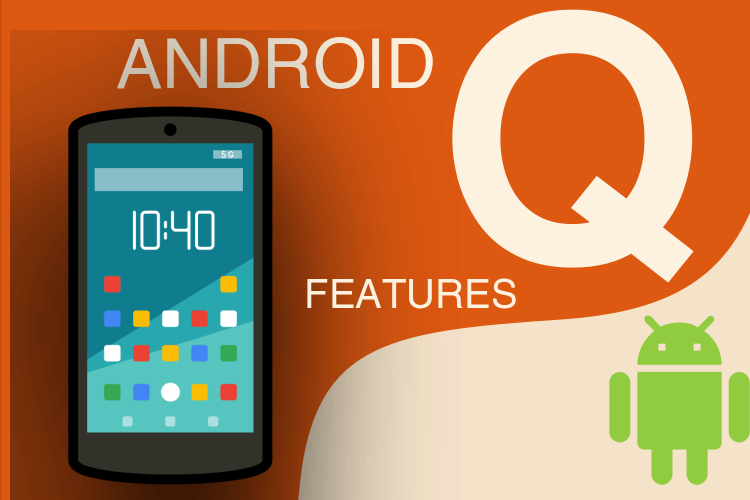 Here I will tell you some information and features of Android Q Operating System. The dark theme features available on Android 9 pie Operating System but in the new OS “Android Q” you will get the full function dark mode. This feature will be available in the phone’s display settings. To enable this, you have to choose the set Dark Mode option. You can set Dark Mode to Always Enabled or to a specific time and date. After Enable Dark Theme you will get to see dark mode in every app. The advantage of this feature that the battery backup in many mobile phones will get better on runs on Android Q OS (Operating System). Google made several major changes to security and privacy in Android P but, you can see better changes in Android Q. the company is going to present Permission Revamp with the new Android Q OS. In this Operating System, you can check the application permissions again and re-publish it. You can see all the apps from the Permission App. Here you can say that Google again stole one feature from Samsung. Samsung introduced the Desktop mode feature on Galaxy Note 8. using this feature you can connect your phone to any large screen via cable. You will be able to use it just like the desktop. This feature even easier in the Samsung Galaxy Note 9. At the same time, Google is going to present this feature in Android Q OS. Some of the new features added in the developer option. You can use multi window by pressing an app for some time. Additionally, the game update package prefix will also be visible. You can select graphics driver yourself. This will improve gaming performance. There you will find a lot of new features inside the feature flag in the Android Q operating system. Now the company will also give screen recordings feature and screenshot feature. There will also be many new features available in this Android accessibility. The company has introduced time-to take action and time-to-read mode. Where you can set how long the message will appear on your notification screen. Apart from this, some new features are also in accessibility settings of Android Q Mobile Operating System. How to connect android phone to PC for accessing the internet?